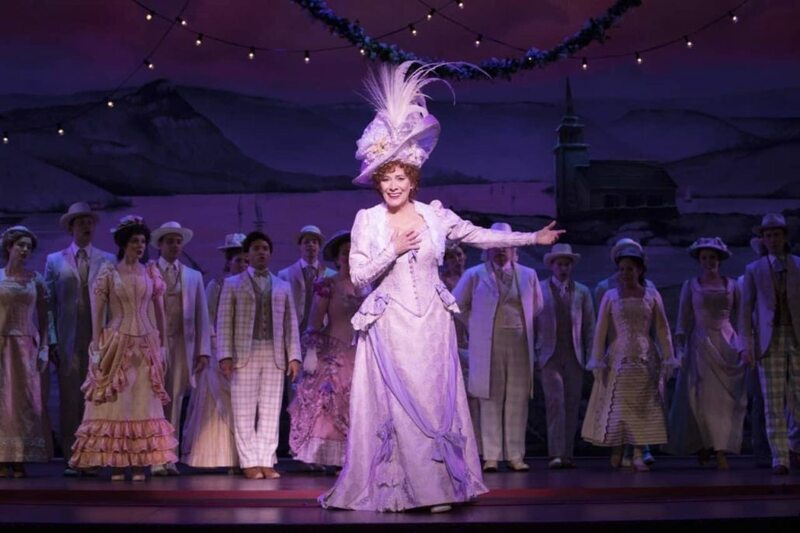 You are here: Home / REVIEW: Hello Dolly! Usually when I am watching a show that I will be reviewing, I take mental (or sometime written) notes through the whole thing. But as my companion and I were walking out of Hello Dolly! at the Orpheum Theatre last night, I realized that after the first few minutes of this production, I had been so entranced that I completely forgot about thinking “critically”. It wasn’t because this new production, which started its Broadway run in 2017, has added any new twists or gimmicks to the story. It was just because of the overall quality of all parts of this touring version. If, like me, you loved the 1969 movie, you will love this production. 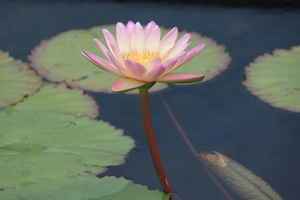 But at the same time there are enough changes that it isn’t simply an attempt to mimic any previous incarnation of the show. Starting, most importantly, with the lead cast, who commanded the stage with confidence and ease, the quality of the production continued with the supporting cast, who gave the best combined singing, acting and dancing I ever remember seeing in one place. Betty Buckley, in the title role of Dolly Levi, goes down in my book as one of the top Dolly’s ever. Lewis Stadlen (as Horace Vandergelder) and Nic Rouleau (as Cornelius Hackl) also impressed me in the extreme with all parts of their performance. The exuberance and athleticism of the dancing numbers are a hallmark of the original production and did not disappoint in this revival version. Additionally, the costuming, which is late-Victorian style meets Barbie-doll color palate (I mean that in the best possible way), made the choral dance numbers a dazzling visual spectacle. The quality continued with the sets, which included beautiful backdrop paintings, and sets that were interesting and clever but never overwhelming. And finally, I can’t forget to give a nod to the excellent orchestra, which contains many local musicians. Overall, if you love good old-fashioned musical theatre, you probably couldn’t pick a better show to see this season. Hello Dolly! is at the Orpheum Theatre in Minneapolis through April 28, 2019. Tickets start at $39. DEAL ALERT: Student/Educator rush tickets are available for all performances. 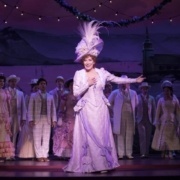 https://www.phenomnaltwincities.com/wp-content/uploads/2019/04/10_Betty-Buckley-and-Hello-Dolly-National-Tour-Company-2018-Julieta-Cervantes-5040x3360-1280x853.jpg 853 1280 Stephanie Kwong https://www.phenomnaltwincities.com/wp-content/uploads/2015/09/logo22-400x1271.png Stephanie Kwong2019-04-17 09:25:062019-04-17 09:25:06REVIEW: Hello Dolly!